Our company has focused on manufacturing citrus essential oils for three generations. The story of Diego Visalli - Estrazione Essenze e Derivati Agrumari - begins in 1958 when he founds a company which takes his name. 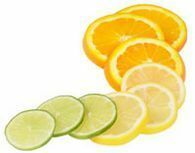 Since then we have been producing high quality citrus essential oils which are used for scents, fragrances and also by the pharmaceutical companies.Nowadays, we are still a run family business, being proud of this characteristic and wishing to remain so. Along with the quality of our products other important issues in our philosophy are our good service and the care towards our customers. For us, taking care of every single customer with the utmost attention and deepest respect from their first request has been a priority since the beginning. Through care and devotion by our team, we provide service that meets our customers' needs.